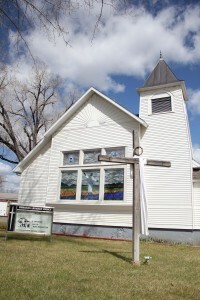 Emmanuel Lutheran Church is a small ELCA church located in Shepherd, MT which is located on the outskirts of Billings. Emmanuel has served the communities of Shepherd, Huntley, and Billings since the late 1930’s and is a local landmark in the town of Shepherd. In addition to Sunday services, the church serves the community by sponsoring summer barbeques and by maintaining and stocking a small food pantry. We have a mission . . .
Emmanuel Lutheran is a welcoming church, in a rural community, called by God to joyful worship, caring relationships and loving service. We have a vision . . .
We will follow God’s plan for us to grow in faith, family and community. To give to our church, please go to Simply Giving.